Greetings from above the Artic Circle! It's currently cold and rainy here in northern Norway. 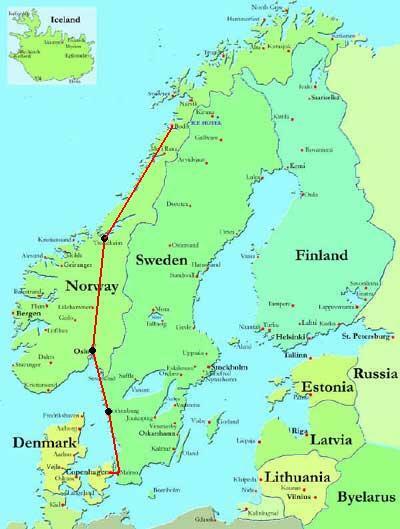 Tomorrow I press farther north, by bus, to Narvik. As you can see, I've made some progress towards my eventual encircling of Scandinavia. I'm going to jump on IM for just a minute, but it's pretty late here right now, and I've got a 7:10 bus to catch tomorrow. More on this story later in the program!